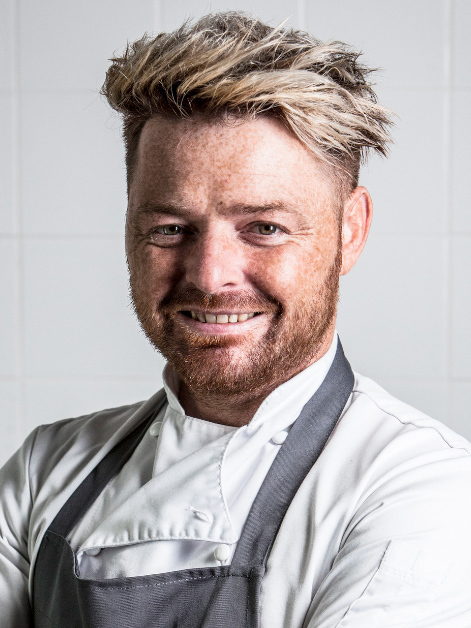 Tommy Heaney is Head Chef and owner of Heaneys Cardiff, his eponymous restaurant that opened in 2018. Tommy’s background includes various self-initiated stages in London’s leading kitchens including Daboous, Le Champignon Sauvage, and working under Richard Corrigan. Rave reviews followed and an invitation to appear on BBC’s Great British Menu (2018) confirmed Tommy’s reputation as one of the UK’s most exciting culinary talents. Arrogance from people within the industry, we’re here to make customers happy, but we also need respect from customers too. Lamb and langoustines – delicious! Ideally it’s watching football, having a few beers with the boys and talking about anything other than work. Nowadays, I try and finish work at a reasonable time on Sunday night, and chill out with Nikki my partner and Heaney’s General Manager and the kids. Achieving our Kickstarter and opening Heaney’s. I’m also proud of all of our staff at Heaney’s- we couldn’t do it without them. Satisfaction! I rate success on how satisfied you are, and I am never satisfied! Anybody with spare time on their hands. I would love to see the kids more, travel, and be more organised!